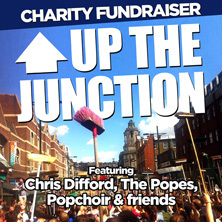 A charity fundraiser featuring Chris Difford, The Popes and Popchoir and friends for the people of Clapham Junction, Victim Support & St Mark’s Youth Group. Even if you are not interested in attending the event yourself perhaps you could pass on to friends and family, link on facebook, twitter etc as the concert has been put together very quickly by a group of volunteers and really needs to get more publicity if it is to be the big success it deserves to be. This entry was posted in Clapham Junction and tagged concert, looting, riots by Blogger. Bookmark the permalink.